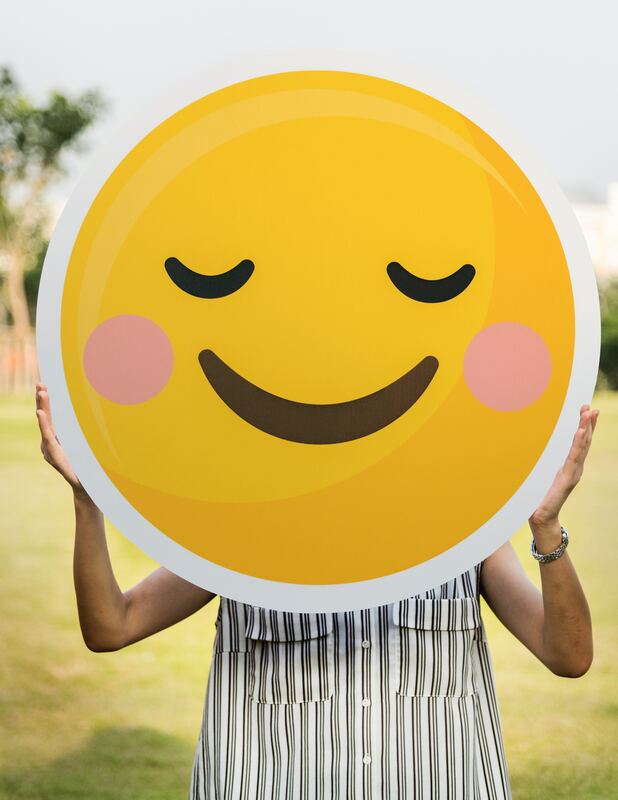 There is a growing body of research that indicates that no matter our economic circumstances or country we live in, that our feeling of happiness (self-satisfaction) is affected by age, and is predictable. Basically, life satisfaction declines with age for the first couple of decades of adulthood, and bottoms out somewhere in the 40s or early 50s, and then, until the very last years, increase with age, often (though not always) reaching a higher level than in young adulthood. The pattern came to be known as the happiness U-curve. In addition, an economist named Richard Easterlin, then at the University of Pennsylvania, proposed the Easterlin paradox that posits beyond a certain point, countries don’t get happier as they get richer. This has been born out with subsequent research. For a deep dive into the research see The Real Roots of Midlife Crisis in the Atlantic. After learning of this phenomenon, which also appears to be at play in chimpanzees’ and orangutans’, (go figure) I can’t help but think how this insight can be useful with managing staff and designing donor appeals. Coincidentally, I came across a recent Washington Post article addressing how the type of boss you have has a huge effect on your happiness. The Gallup-Healthways daily poll, which surveys hundreds of adults each day on a variety of topics asked how employed respondents view their immediate supervisor: as a “boss” in the traditional sense? Or more as a “partner”? Pooling millions of responses together over a period of several years, the researchers plotted life satisfaction, by age, dependent on the type of supervisor respondents said they had. Does this curve look familiar? 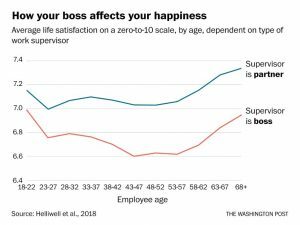 As this chart shows, people with boss-supervisors exhibit a much more significant drop in life satisfaction between their early 20s and mid-40s. But for people with partner-bosses, the first half of the curve is much flatter. Both groups, however, see a big rise in life satisfaction as they age out of their 40s. This would indicate if you want to beat the Happiness U-Curve slump with your staff and co-workers in their 30’s and 40’s, adopting a “partner” style of management is the way to go. Are you a task-partner or task-master? Do you have an open door policy or a closed-door aloof policy? You as boss will be better served as a team member and not an overseer – waiting for results. 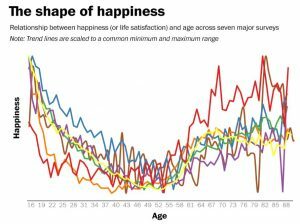 If you take stock in the Happiness U-Curve, then having an age overlay of your donor file can serve you well. You can segment your direct mail and email appeals in ways that reflect the donor’s position on the U-Curve. Appeals can offer commiseration about life’s circumstances in subtle ways. Addressing stresses of professional trajectory, family growth and evolution, and changes in physical health. You can feature stories of people in specific age spans who are facing challenges that may resonate with that segment of your file, while also aligning with your mission and appeal. Much can be done to engage donors and maximize giving with this information. 1. Keep in touch with behavior research so you can inform and improve your advancement strategies. 2. Human complexities can often be better understood through core behavioral insights. 3. It is worthwhile to test some lifecycle strategies on your donor file.